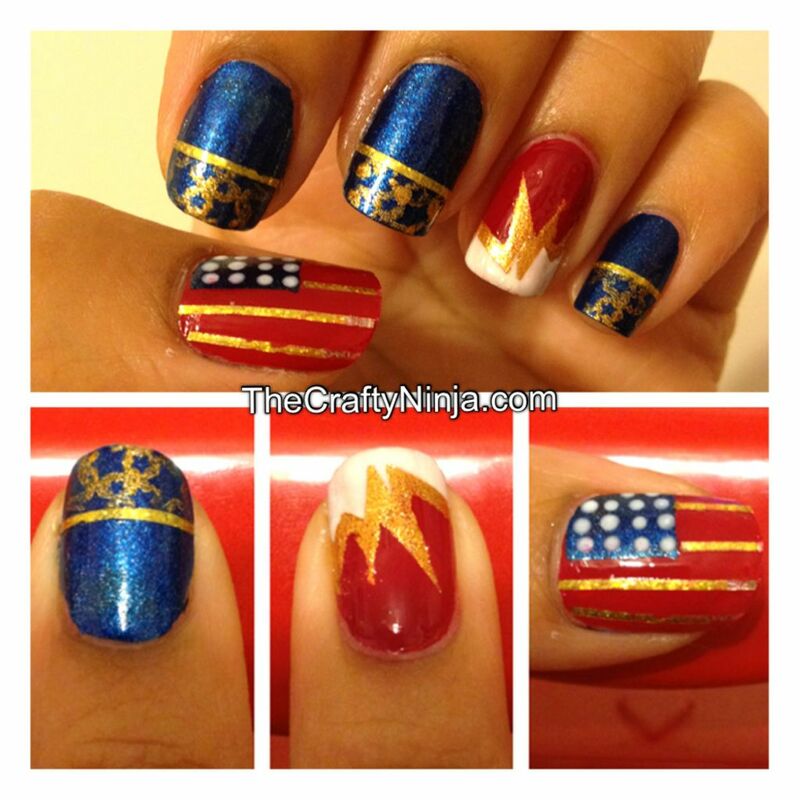 I was inspired by the DIY American Flag t-shirt, tutorial here, I made so here is the nail art to go with the upcoming festivities. Here are a closer look at my fingers. 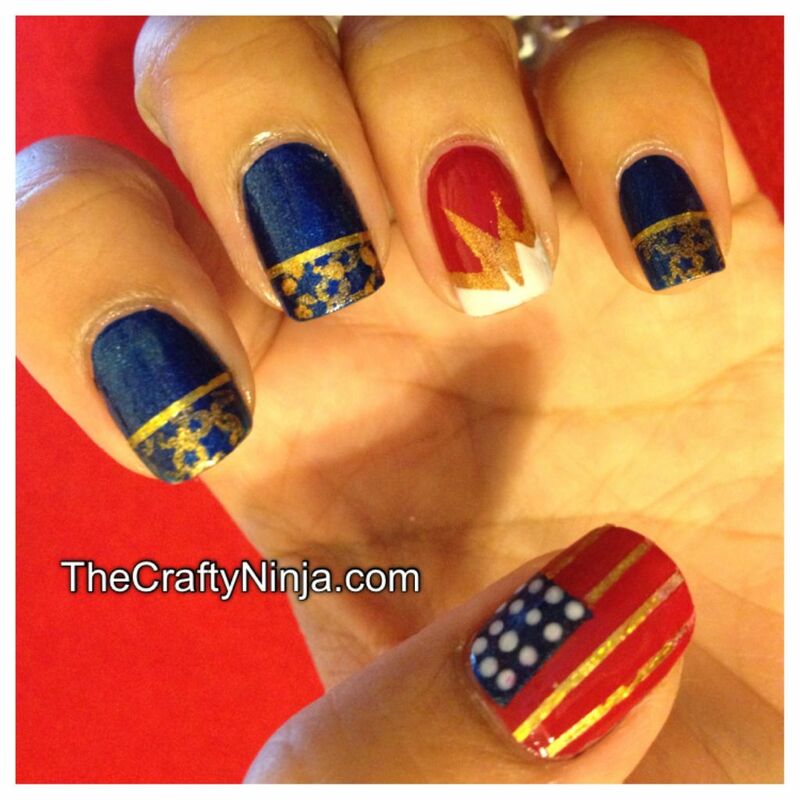 I used a star Salon Express nail stamps, tutorial here. 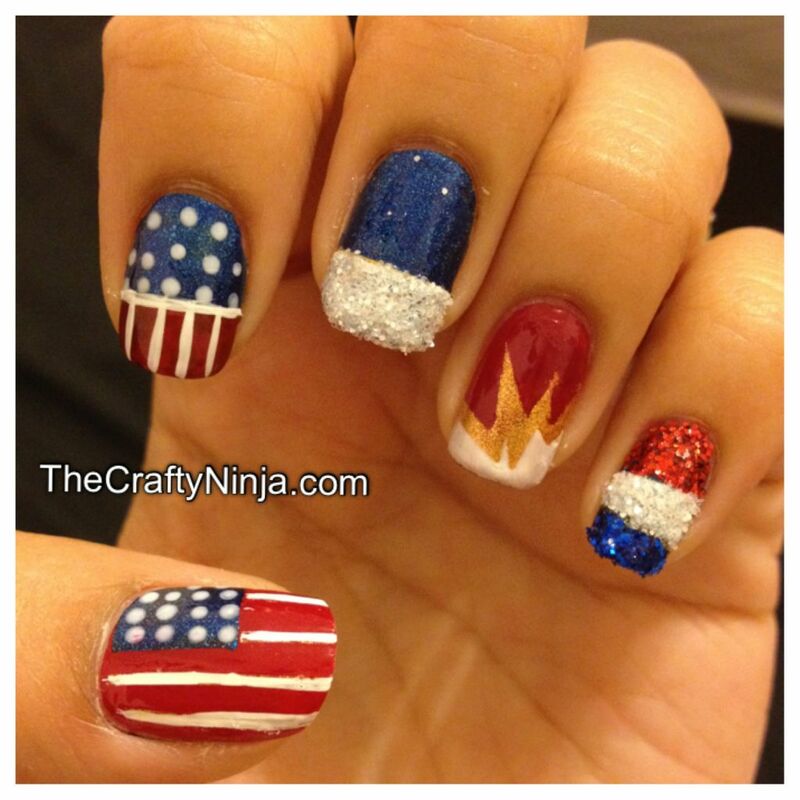 Fireworks or Explosion Nails, tutorial here. Nail tape design, tutorial here. On this hand, I hand painted all the designs with Art deco nail polish, used nail tape, and made dots with a nail dotting tool. I also did a glitter dip look, tutorial here. I love your use of tape….